The South Korean giant says quarterly operating profit likely fell to a worse-than-expected $10 bln. With chip prices set to drop further, Jay Y. Lee can draw on his cash pile to boost investor returns and invest in new tech, like 5G. His track record in both is less assuring. Boss Kenichiro Yoshida has boosted earnings at the $61 bln movies-to-video-games group. But he needs to shed a loss-making handset unit and spin off the chip business, among other things. The Japanese company's reluctance to act will see hedge funds make a cameo in Sony's remake. Electronics group Ceconomy reported a third profit warning, a year after being hived off from Metro. Thin margins, tough markets and creaky governance mean shareholders’ ordeal won’t end soon. With groups like Thyssenkrupp and VW eyeing splits, it’s a reminder of how not to do it. Shares in computer maker Lenovo plunged 22 pct Friday after a news report alleged Beijing agents inserted spy chips into other companies‘ motherboards. Peers fell too. Fear of China’s role in globally integrated I.T. supply chains is growing but the fallout is hard to price. South Korea's tech titan expects quarterly operating profit to hit a record $15 bln, thanks to an upswing in chip demand. Memory prices will probably peak by year-end, however. Slower earnings growth, and the mounting legal woes of Samsung's leaders, will test investor patience. Quarterly net profit at the $50 bln iPhone-assembler badly missed expectations. Steeper costs at subsidiaries and other bets are probably to blame. Boss Terry Gou, though, gives few details on new ventures: without better disclosure, shareholders will be caught off-guard again. South Korea’s $300 bln tech giant estimates quarterly revenue fell 5 pct from a year earlier. Weak handset sales will recover, though. More worrying are China's price-fixing probe into memory chips and new rules at home that could force a hefty batch of its stock onto the market. 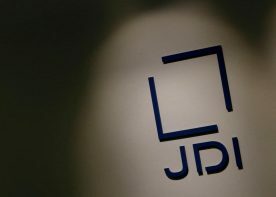 The Japanese group is buying its rival’s laptop business for a song. Toshiba was a PC pioneer, but the last thing it needs now is to battle in this cutthroat, scale-dependent and low-growth industry. Backing from Taiwan’s Foxconn puts Sharp in a slightly stronger position. The Japanese group is buying 60 pct more of EMI Music Publishing from a consortium led by Mubadala. A valuation of $4.8 bln, or 19 times EBITDA, is deafeningly expensive. It leaves no room to doubt new boss Kenichiro Yoshida’s belief in a streaming-led recovery for the industry. A Shanghai listing will separate out some of the $52 bln Taiwanese group’s most exciting businesses. It is buying back stock to offset the impact on its own earnings. That doesn’t change the fact that it is turning into an awkward mix of holding company and contract manufacturer. First-quarter operating profit is likely to rise a blistering 58 pct to $15 bln. Yet Samsung’s shares look cheap, even allowing for challenges ahead in semiconductors. The best fix would be to build on the baby steps it has already taken to improve corporate governance. The Taiwan assembler of Apple's iPhone plans to spin off a subsidiary onto the Shanghai exchange. Fresh funds will help it push into cloud computing and robotics. Given the new-share pricing norm of about 23 times earnings, Foxconn should be engineering even greater benefits. Sales at the Chinese tech company are booming, Reuters reports, probably thanks to a turnaround in smartphones. A mooted $100 billion valuation at listing sounds aggressive, but Xiaomi might be able to position itself as the first big consumer-facing play on the connected home.